In a previous post, I talked about how when you raise your current round, you must be able to pitch the next one. This blog delves more into the nuts and bolts of funding, and specifically the idea that money is never in a hurry. Once you raise money from a professional investor, your interests are fully aligned: everyone wants to see the biggest exit in the shortest amount of time (though sometimes you are willing to sacrifice one for the other, but that is a different post). All of this is AFTER the investment. Before the investment, your interests are almost completely misaligned…unless you have one of those rare startups that experiences significantly more demand to fund you than there are available funds. In most cases however, you are selling (not the funds buying), and this can be very frustrating, though understanding the reasons why may help ease your frustration and move things along more quickly. A typical process will involve several initial meetings with the partner who is interested in the deal, followed by deep due diligence on your model, including digging into the financials and projections. The next step is to present to the rest of the firm’s partners, followed by more due diligence based on the partners’ questions. Afterward, the fund may hire subject-matter experts to help dig into whatever outstanding issues remain. After that, you start the legal process, which can take up to eight weeks or more, depending on the complexity of your cap and funding structure. Now, here is where the misalignment comes in: during all of this, you are expected to continue to execute and hit your goals, which means you are burning cash. Not their cash. Your cash (or your previous investors’ cash). The fund, on the other hand, is continuing to live off their management fees and look at other deals. Not only that, but the longer the process takes, the more information they will have on your business. Did you hit your sales goals this month? Did you hire the person you said you had in your pipeline? Did you finalize the partnership agreement that you promised was in the works? 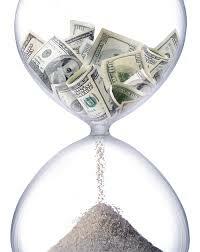 So, bottom line, during a funding process you are running out of money and they are accumulating more information. Smart investors will not want to kill you off — as this helps no one — so they (or your current investors) may be willing to bridge you for the last part of the process. However, bridges are expensive, with a typical 15-25% discount rate on the price of the round. What can you do about it? The best answer is to budget a LOT of time for fundraising and start as early as possible (six months at a minimum, nine months is normal and full year from start to finish is not crazy). Also, make sure you have prepared all the necessary documents and put them in a cloud data vault. You do NOT want to be the one slowing down the process. Obviously having more than one funding option would be very helpful, but you do not want to be forced into a next-best alternative because of a cash crunch. If you prepare and start with enough lead time, you will ensure the best odds of getting the optimal offer for you.